Today’s Key Passes include: Copa MX action, Mexico going on tour, and a new FIFA TOTW. The USMNT team will try to get Jonathan Gonzalez to join them for their upcoming friendly versus Portugal next month. He has played for several US youth national teams but Mexico is also interested in his services. Mexico is coming to San Antonio to play a friendly vs TBD. They even have an English site to promote their upcoming tour. Progress I suppose but the most popular soccer team in the US still does not post anything on social media in English. New GM in LA for the Dos Bros. A surprising choice indeed. 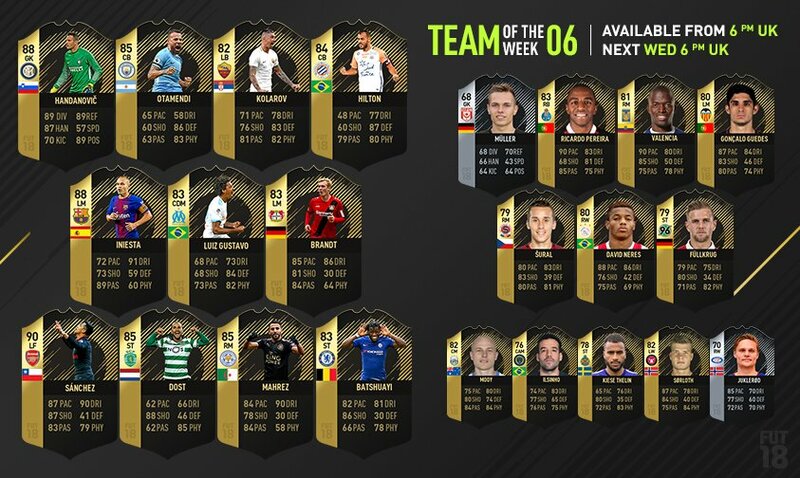 Tecatito made the TOTW for his performance this past weekend. Hector Herrera led the league in passes and interceptions. Lozano said he hopes to play at PSV for many years. If he keeps his form up, I can easily see a big money offer next summer. The USMNT have a new (interim) coach. He will take over for their friendly against Portugal next month. New survey shows broad support for a co-hosted 2026 World Cup between US/MEX/CAN. Gigi Buffon is set to retire at the end of this season. He has quite the career resume. FIFA released their TOTW. Enner Valencia from Tigres has been included. Uruguay has new threads for Russia 2018. Not a big departure from their usual threads. Game 2 of the World Series is on tonight. The Doyers are up 1-0 against the Astros. First pitch is at 8:09pm ET. More Copa MX action tonight: Santos/Necaxa, Pachuca/ Atletico Zacatepec, Monterrey/Universidad de Guadalajara, and Atlas/Chivas. Several Mexicans Abroad are in action today. Check the calendar.